Earlier in the year I was asked to talk at a Politics in the Pub event on the subject of ‘How Effective Is the Fossil Fuel Divestment Movement in Speeding up Action on Climate Change?’. I shared the stage with Blair Palese, Australian CEO of 350.org, and it was an opportunity to talk about how divestment might contribute to a more effective political response to the climate crisis. Below is an abridged version of my talk and you can view a video of the presentation at the bottom of this post…. Drinking water denied to residents – Winnipeg Free Press. For the last century the people of Shoal Lake 40 First Nation have solved many of Winnipeg’s water problems, and they have paid dearly for it. The story of Shoal Lake 40 First Nation stands as a microcosm for the enduring inequalities upon which Canada is built. How can we talk meaningfully about reconciliation if we cannot build a 27-kilometre road to an Anishinabe community that is cut off from basic necessities in the interests of a city a two-hour drive away? At the turn of the 20th century, Winnipeg was beset with the problems that come when people do not have access to reliable and clean water. In the 1870s Winnipeggers collected rainwater, used private wells or bought from water men who delivered river water for a price. In 1880, the city offered a generous deal to a private company to supply water drawn and minimally processed from the Assiniboine River. In 1900, the city developed a municipal system based on artesian wells, but there were almost no water mains in the working-class, disproportionately immigrant North End. The rapidly growing city ricocheted from one public health crisis to another, many of them related to insufficient and poor quality water. There were fires. There was disease. For example, in 1904, Winnipeg’s death rate from typhoid, sometimes called Red River fever, was 24.85 per 10,000, higher than any other major North American or European city. By 1906, the city and the province acknowledged the need for a permanent and public solution to Winnipeg’s ongoing water problems. In 1913, they set their sights on what a city report described as “practically inexhaustible supply” of clean, good tasting water from Shoal Lake. If the officials involved in developing this plan thought much about the Anishinaabe people of Shoal Lake, they left little evidence of it. Newspaper accounts and government reports made only occasional and dismissive mention of the “Indians” for whom Indian Bay was obviously named. The unvarnished colonialism of the Indian Act empowered the federal government to act, and it did so in 1915 by selling land, lake bed and islands of the Shoal Lake 40 reserve to the Greater Winnipeg Water District. The city paid the federal government $3 an acre for 355 acres of Shoal Lake 40’s land on the shore of Indian Bay and 50 cents an acre for lake bed and islands. Work on the cement aqueduct that would carry water from Shoal Lake to Winnipeg began in 1914. This was a costly and ambitious project, especially as the First World War was breaking out. At one point, 2,500 men worked building the aqueduct. In 1918, the water began to flow; Winnipeg’s water supply has been secure ever since. The people of Shoal Lake 40 aren’t mentioned on the monument that celebrates the Winnipeg Aqueduct at Stephen Juba Park. But this history is well-known to Shoal Lake residents. Nature no longer exists apart from humanity. Henceforth, the world we will inhabit is the one we have made. Geologists have called this new planetary epoch the Anthropocene, the Age of Humans. The geological strata we are now creating record industrial emissions, industrial-scale crop pollens, and the disappearance of species driven to extinction. Climate change is planetary engineering without design. These facts of the Anthropocene are scientific, but its shape and meaning are questions for politics—a politics that does not yet exist. 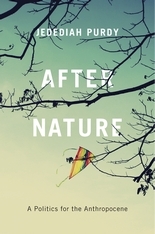 After Nature develops a politics for this post-natural world. Melina Laboucan-Massimo, who is from Little Buffalo, described the scene at one point. “We have the (solar) panels on the ground; we’re just going to be putting them up with the racking system today. We’re really excited about it,” she said. The Piitapan Solar Project installation in process this week in Little Buffalo, Alberta. The new solar-panel system is a pole-mount model, meaning the panels sit atop a pole looming about 15 feet into the air. Electricians, solar contractors and community members are on-hand all week to complete the installation and/or train, learn and observe. The goal is to have the system, called the Piitapan (Cree for Sunrise) Solar Project, installed by Aug. 21. This will be followed by a Solar Feast this weekend, in which all generations of the hamlet will have an opportunity both learn more about what this new feature to their place means, as well as celebrate its installation as a truly historic moment. For Melina, a member of the Lubicon Cree First Nation, seeing the solar-panel system take shape has special meaning. She was born in Little Buffalo, which is encircled by oil and gas development and large scale industry. Little Buffalo is part of the Lubicon Lake Nation. via Newsroom – Social Enterprise Canada. The worst fears about the northern region of the country losing its groundwater have been confirmed. The National Aeronautics and Space Administration’s (NASA) satellite imagery made available to the Centre warns of fast disappearing of subsoil water in these states. The NASA report forwarded to the Punjab Government by the Union Ministry of Agriculture says that “beneath north India’s irrigated fields, the groundwater has been disappearing”. “It is being pumped out and consumed for human activities, principally to irrigate cropland, faster than the aquifers can be replenished by natural processes such as rainwater,” the report says. Union Agriculture Ministry’s Joint Secretary RB Sinha has urged Punjab to immediately take steps to check the steep fall in water table. Union Agriculture Secretary Shairaz Hussain also met Punjab Irrigation and Agriculture Department officials recently and asked them to arrest the declining water table. via North India running out of water, confirms NASA. In Peru, Kenya and India, NGOs are helping communities overcome water scarcity using wisdom from the past.. The three wonders of the ancient world solving modern water problems | Global Development Professionals Network | The Guardian. UBC chairman John Montalbano says he didn’t threaten to pull professor’s funding. “Local energy is a term in search of a definition. Sometimes it’s a microgrids, sometimes community solar, sometimes a town or city buying its own power. via The Triple Threat: Community Choice, Microgrids and Community Solar – Microgrid Knowledge.